It was all supposed to go off without a hitch, only the causing a 27-minute delay to the start of the Detroit Grand Prix. 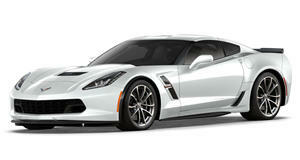 GM vice president of product development Mark Reuss was the man responsible for the unfortunate accident. Embarrassing? Yes. Anyone hurt? No, with the exception of pride, perhaps. However, as has learned from Apex Marketing Group that crash was worth 70 times more than the exposure GM got during the IndyCar race itself. In total, Chevrolet earned some $3.5 million in exposure because of the crash. Granted it wasn’t the best press all things considered, but having the famous Chevy bowtie logo involved in the wreck of the most powerful road legal Corvette ever certainly has its benefits. So, what caused the crash (shown again below)? Chevrolet stated there were numerous factors involved, such as weather and track conditions, but that the car’s safety systems performed as expected. Driving a 755-hp car can be a challenge for some, but Reuss, in his official apology statement, reiterated that he’s “driven his course many many many many times. I have paced this race in the wet, cold, hot, and calm. 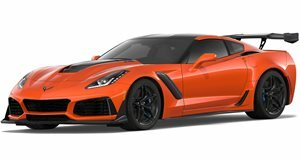 On Z06’s, Grand Sports, and other things. It is never a casual thing for me, but an honor to be asked… I want to thank our engineers for providing me the safety I know is the best in the world.” As Shakespeare wrote, all’s well that ends well.